After selling multiple businesses before the age of 22, I fell in love with the process of marketing and scaling businesses with social media. In late 2016, I doubled down on my strengths and launched my own marketing agency Suits Social Inc. Helping businesses around the world unlock the full potential of social media as a marketing engine. In addition to running my agency, I also speak to thousands of entrepreneurs at events across North America. Millions of entrepreneurs struggle to bring attention to their ideas, my mission is to help them solve this problem with social media! It's time to shine some light on whatever it is your doing, and share your ideas, products, services, and business with the world. But if you're like most entrepreneurs and professionals, you're struggling to stand out in the endless noise that is the internet. That's why I created this podcast! Learn how myself and other succesfull entrepreneurs drive massive attention to our ideas, our business, and our brand, and establish ourselves as authorities in our space. I went from plumbing apprentice in the housing projects, to the CEO of a digital agency in under 3 years. If I can do it, so can you, and i'm going to make sure you have the knowledge, guidance, and support to succeed. Consider this podcast your new home, are you ready to get started? 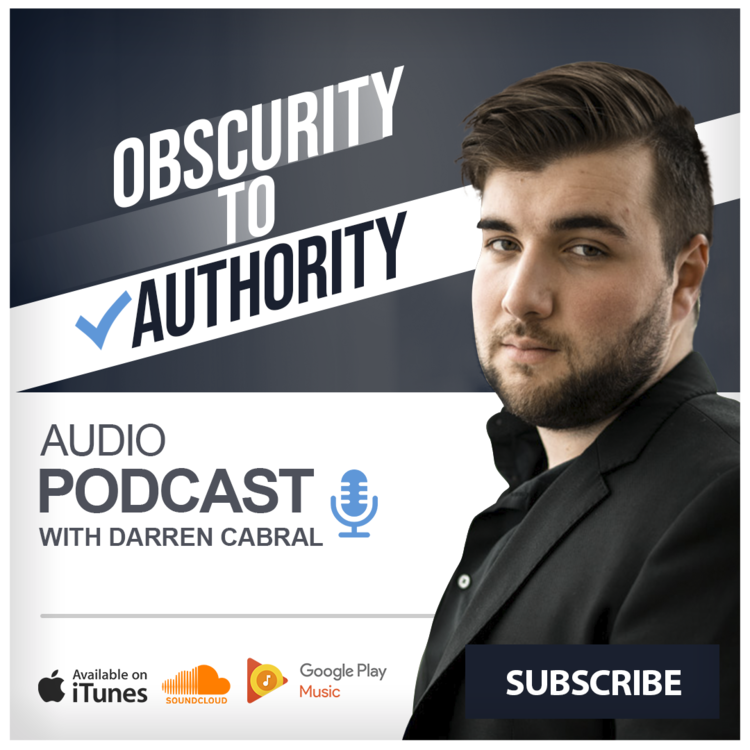 Learn how to go from Obscurity to Authority, 10X your business, and dominate your marketplace. Every day I share my most valuable lessons learned in business, life, and from interviewing the worlds top influencers. This is a private list with limited space, I open up new spots each month, check back often. Click below to join for free now! In 2016 I founded Canada's first dedicated social media marketing agency, Suits Social Inc. My team and I work with businesses around the world, helping them develop and manage profitable social media campaigns. Services include strategy development, social media management, social media advertising, and more. There's nothing more rewarding then getting to work directly with business owners and entrepreneurs. If you're looking for support, expert guidance, and proven systems that will accelerate your social media success and business growth, I'm here to help. Learn how to generate massive attention quickly, and dominate your competition and the minds of your customers. Social media has transformed my business and my life. Bringing attention to me and my ideas, driving revenue and unlocking unimaginable opportunities. Now i'm sharing everything I know, so you can drive real results in your business and life. Get ready to master social and take your business to the next level! Book Darren For Your Next Event or podcast!
" My Goal is To help 100-MILLION people bring attention to their ideas, business, and brand." Darren has educated and inspired audiences across North America. From his hometown of Toronto to the infamous Las Vegas. Darren's charismatic flare and passion for all things business will leave your audience engaged, motivated, and begging for more! Submit a request to hire Darren for your next event. I can't wait to chat, i'll be in touch shortly.